I’m Ed Smith, a Stockton, personal injury lawyer. The spine is one of the most critical parts of the body. The vertebrae project nerves that power the motor and sensory functions of the body. 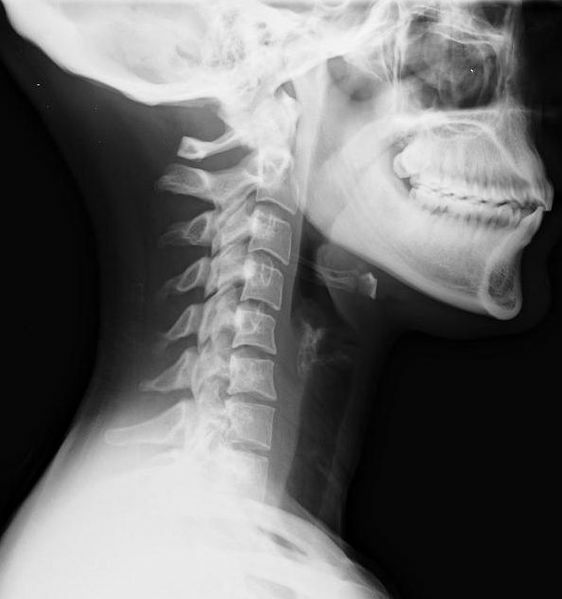 If the cervical spine is injured, someone could wind up with complications that could last for the rest of their life. A severe spinal cord injury may occur because of a sudden impact or cut to the spine area. This type of injury often brings with it a permanent loss of sensation, strength, and function just beneath the site of the injury. Assistive and rehabilitative devices are utilized to enable many individuals with spinal cord trauma to lead independent, productive lives. Treatments typically include drugs to reduce the severity of symptoms as well as surgery to stabilize the spine. New Injuries: According to the Brain Injury Law Center, there are over 12,000 new spinal cord injuries every year. Living Americans: Over a quarter of a million Americans are living with a spinal cord injury. This means they are also dealing with the complications of such an injury. Causes: Almost 40 percent of these injuries arise due to an auto accident. In a car accident, the cervical spine can be injured with extreme extension or flexion of the neck. These forces are felt in a car accident because the head is not restrained by the seat belt. Once an individual has been diagnosed with a spinal cord injury, the recovery process needs to begin. Watch Youtube Video ~ Cervical Spine Injury, Injuries Animation and Everything You Need to Know, by Dr. Nabil Ebraheim. The video below provides the viewer with a general overview of injuries to the spine. Sometimes, an injured person will never recover completely. If the cord has been stretched to an extreme degree, damage may have been done to the nerves. When this happens, complications can take place. These complications can be disheartening for families dealing with a spinal cord injury. Fortunately, there are treatment options available that could help with some of these complications. These complications can be a severe roadblock to the recovery process. One of the options to help with these problems is physical therapy. Through this process, people could restore the range of motion in their spine. They can strengthen the muscles in their back. This will relieve some of the stress on the ligaments by providing them with more support. This support can also help reduce some of the pain. Without the pain, the range of motion can be improved. Shooting pains might dissipate. Quality of life can be improved. Despite all of this, what happens if insurance doesn’t pay for these visits? How can a family pay their bills? Will they lose their house? These complicated issues which arise with a chronic injury deserve help. Speaking with a caring personal injury attorney in Stockton can help a family find answers. Never be afraid to ask for help during difficult times. I’m Ed Smith, a Stockton, personal injury lawyer. Individuals or families who are dealing with a chronic injury of the cervical spine may call me using (209) 227-1931 to receive friendly advice at no charge. Also, I can be reached on our office’s toll-free line at (800) 404-5400. I am humbled to be a part of the Million Dollar Advocates Forum, an association which recognizes trial attorneys with million dollar case settlements or verdicts for clients. My verdicts and settlements are available here for your convenience. I have founded AutoAccident.com, the informative website for car accidents and personal injuries.